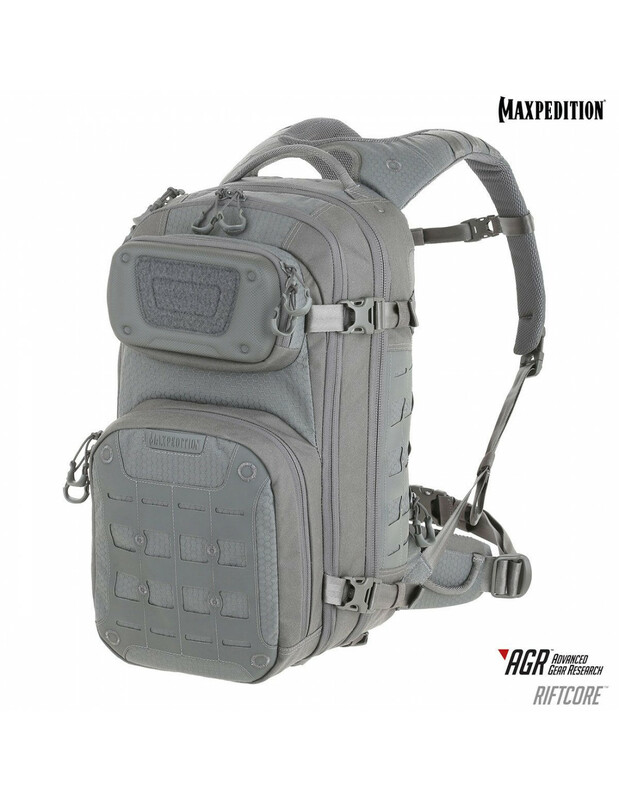 The RIFTCORE is an ergonomic backpack with quick release yoke-style straps. It is equipped with two locations for CCW placement, including a fully loop-lined rear compartment with two-way access. The middle compartment, which has a full clamshell opening, comes with multiple loop-lined adjustable straps that can be repositioned to make organizing and locating contents much easier. The semi-rigid fleece-lined EVA pocket on the front of the pack is ideal for storing sunglasses, electronics, or valuables.